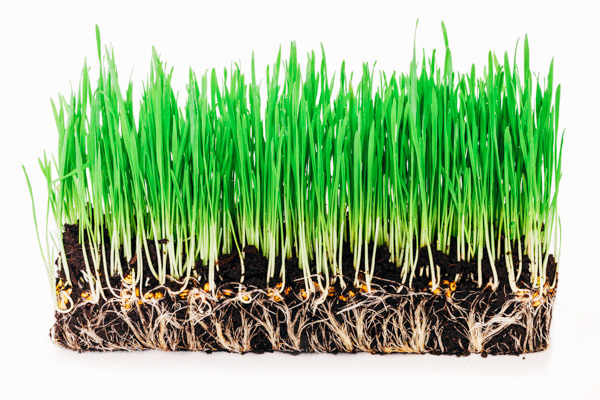 You've probably seen wheatgrass before.. it's been a popular plant (or grass? ), for some time now and for all of the right reasons. If you are not familiar with wheatgrass - it's basically the first leaves that sprout from an actual wheat plant. Before it's turned into what we know as wheat, the little green 'grass' is harvested and sold as wheatgrass. According to my online research - eventhough wheatgrass comes from the actual wheat plant, it does NOT contain gluten. However, if you truly have a gluten intolerance, I would do further research and maybe even talk to your doctor before taking this as a supplement. Just in case you know? Wheatgrass is filled with a ton of nutrients that our body loves including vitamins and minerals such as Vitamin A, Vitamin K, Vitamin C and Calcium, Iron, Sodium and Potassium! It also contains a very attractive feature and that is chlorophyll, which is what gives wheatgrass that beautiful vibrant green color. 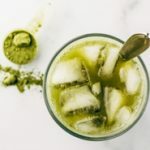 Chlorophyll has been known to be a powerful detoxing agent in the body, and also contains strong antioxidant properties which helps your body fight free radicals (aka toxins that harm your cells and organs, and also contribute to aging!). Antioxidants support your immune system, thus making it harder for bad bugs to attack your health! Wheatgrass is also a great source of natural energy, which is awesome if you are trying to cut back on caffeine. Try a wheatgrass shot instead for that natural energy boost! Another benefit that people rave about is the ability for wheatgrass to improve and aid in digestion. There is even a study that showed that patients with inflammatory bowel disease had improved symptoms while taking wheatgrass. You can watch Dr.Greger (aka my favorite plant based doctor ever) briefly explain the study in simple terms in this video. 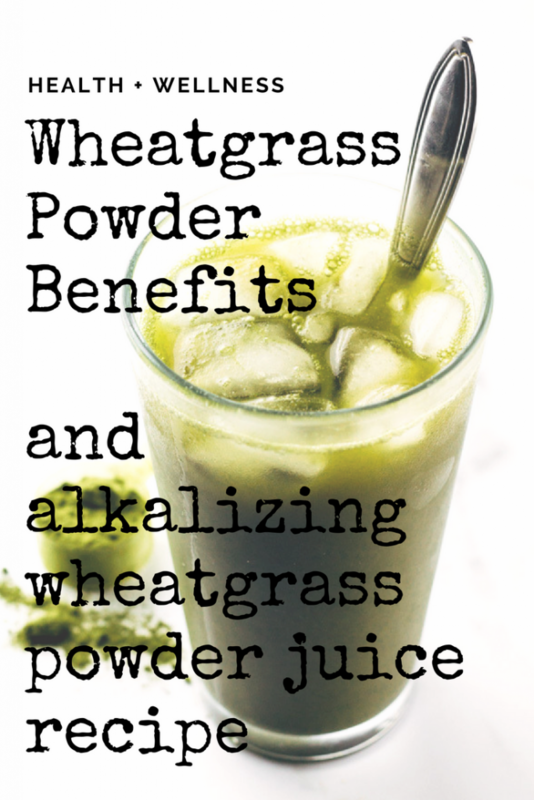 The biggest reason for including wheatgrass powder juice in my own diet is for it's alkalizing effects on the body. Tons of research has shown that an alkaline environment in the body is ideal and could prevent illness and disease because these bad bugs can't thrive in an alkaline environment. You can read more the advantages of alkaline diets in this article from T. Colin Campbell's Center For Nutrition Studies. It mentions how foods high in chlorophyll are alkaline and beneficial - and like I justtt mentioned, wheatgrass is filled with chlorophyll! Now a days you can find wheatgrass in many of your local natural health food stores and also online including Amazon. 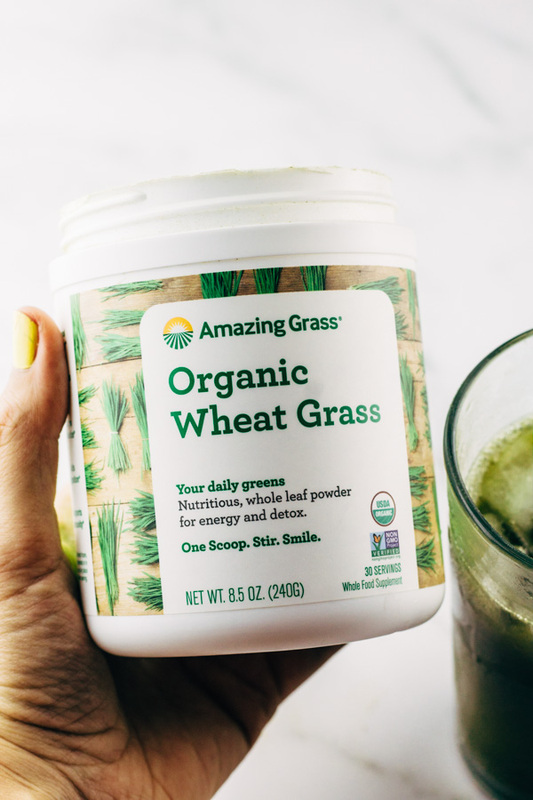 Lately, our favorite wheatgrass powder has been from Amazing Grass (affiliate link) - organic and no sugar added. There are also many 'forms' of wheatgrass that are available... there's the actual wheatgrass plant, which is really cool to have at home because you can cut it and have it continue to grow for a few servings. But the downside is that you would need a really good juicer that can masticate these small greens in order to produce enough juice to make it worth your while. Another option for those without juicers or for a quicker method is to buy wheatgrass in capsules and powder form. I have never tried the capsule form, but I do love using the powder form often. 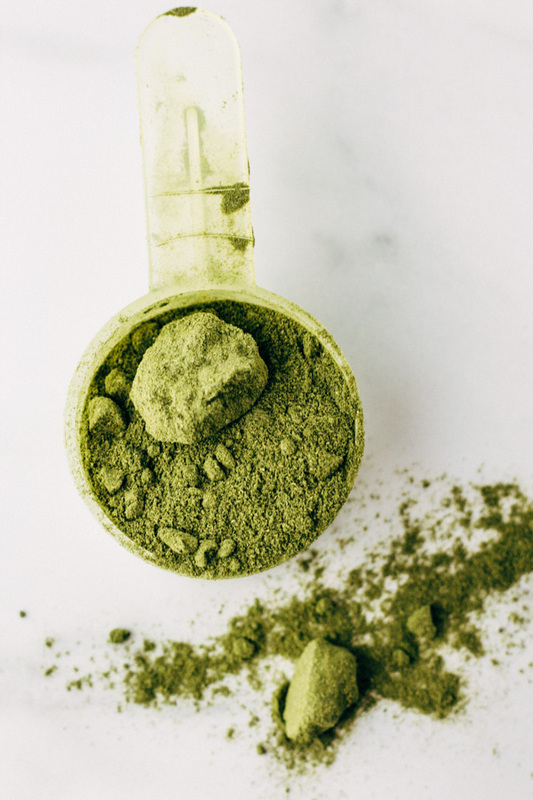 Wheatgrass in powder form is easy and convenient to have on hand. You can make juices out of it, or add it to your favorite green smoothies. 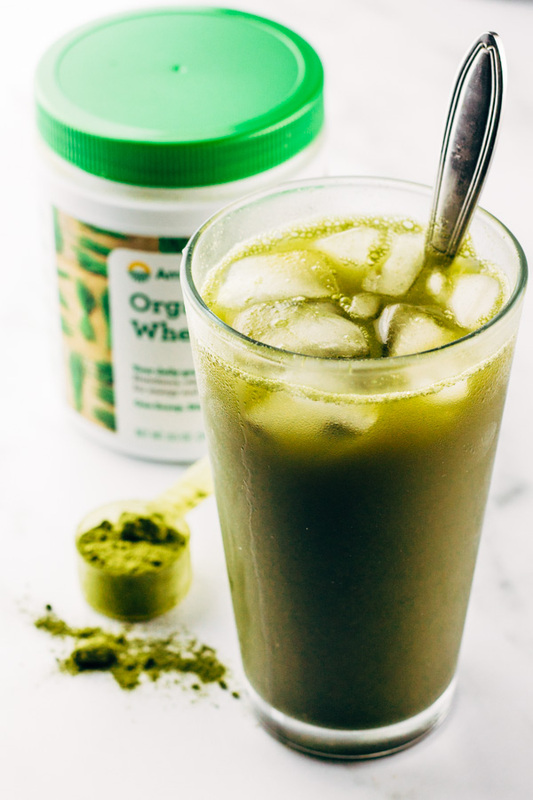 Today I'm sharing with you all our 'go-to' wheatgrass powder juice recipe. It's easy, it's simple, and it's so so refreshing. This is a great way to get your wheatgrass juice benefits into your diet, and enjoy a refreshing lime-y sweet drink while you're at it. All you need is natural apple juice (try to stay away from the clear artifical stuff), water, a lime, and some wheatgrass powder (affiliate link). Many people dislike the flavor of wheatgrass, I admit straight up wheatgrass shots from the pure grass are a bit bitter and difficult for some to swallow.. however, if you opt for powder form and mix it with some lime and apple juice - it is sooo delicious! I encourage you to give it a try. Are you a fan of wheatgrass? Do you enjoy the taste and its benefits? Let me know below what's your preferred way of enjoying the benefits of wheatgrass. 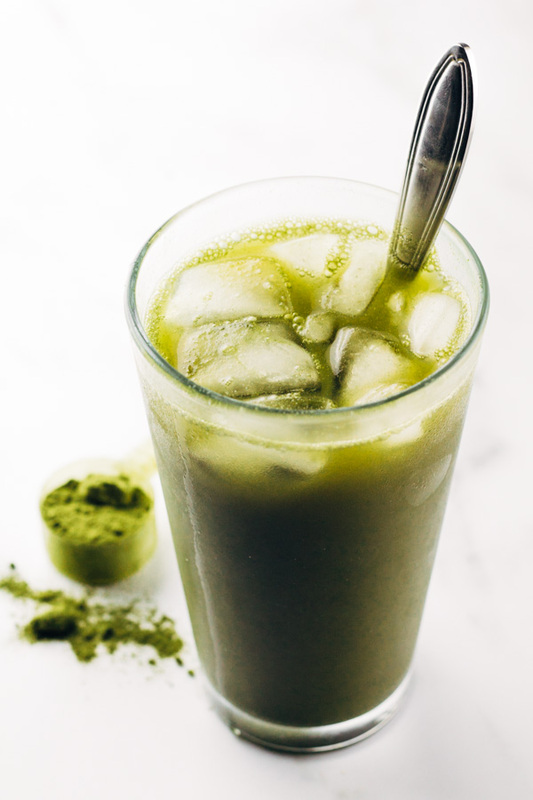 In the mood for more Alkalizing Vegan Juices? Check out this awesome Arugula and Kale Juice , or this sweet Carrot Pineapple Juice Recipe. A tasty and refreshing way to enjoy the benefits of wheat grass! Wheat grass powder (one scoop of your favorite wheat grass powder brand, lately we’ve been loving this brand from Amazon – affiliate link). Grab a glass cup and pour one scoop of wheat grass powder, one part water, one part apple juice and squeeze the lime! Stir and enjoy! I’m not giving exact measurements because it depends on the size of your cup/jar, but it’s basically equal parts water and apple juice. If you’re using a larger jar or pitcher then you might want to go ahead and add maybe 2 to 3 scoops of wheat grass powder.